Gown: Kouse's Sanctum @ FFL - Madison - 400L *donation item*. Another 3 donation items are offered, each sold for 400L. They are all special editions of Kouse's best selling gowns. Gown: Kouse's Sanctum @ FFL - Tranquility - 400L *donation item*. Another 3 donation items are offered, each sold for 400L. They are all special editions of Kouse's best selling gowns. Hair: Discord Designs @ FFL - Atlas (Essentials Pack) - 180L *donation item*. It's MESH. It's also available in the fatpack, other styles on the donation boards. 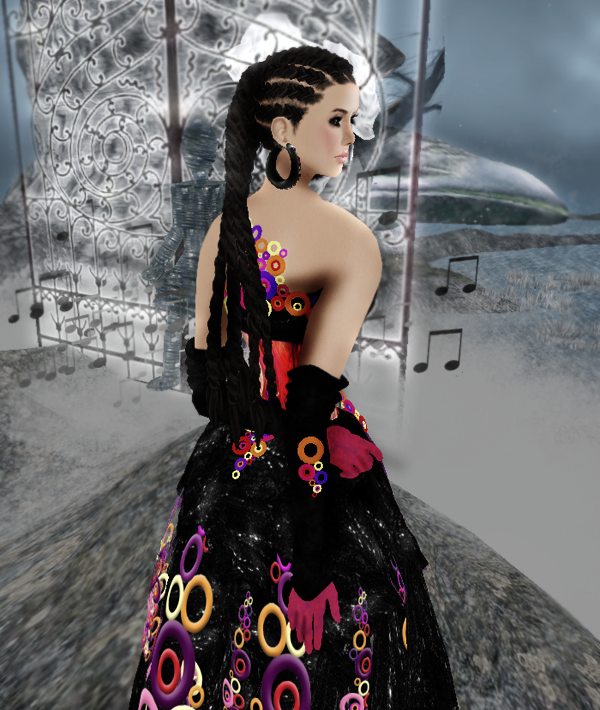 Gown: Moonstruck & Fantavatar @ FFL - Bubbles Black - 499L *donation item*. Available in another color, another outfit in 2 colors on the donation vendors too.